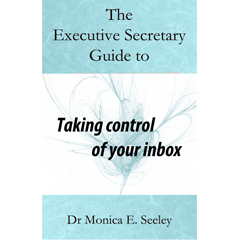 • Managing your time at the inbox. • Training other people not to expect an instant reply. • Being confident to use an alternative to email. • Writing emails which encourage the recipient to respond properly. • Knowing when and how to switch off to improve your well-being. Monica has spoken at the ‘Office’ show since its inception in 2010. Her sessions are always over subscribed and very highly rated. Click here to book early to secure your place.